Make this Valentine’s Day unforgettable by eating foods that both your body and taste buds love. Enjoy this rich, decadent cobbler with a special whipped crème. One taste and you will definitely fall madly in love! Place the almond meal, coconut, hemp seeds, nuts, 1/2 teaspoons cinnamon, salt, and sweetener in a medium bowl and stir to combine. Add the palm shortening (or oil) and mix using your hands or a spoon to form a crumbled consistency. Set aside. In a 9” round baking pan, add the cherries, 1 teaspoon of the vanilla, and the chocolate chips and stir to combine. Spread the cherry mixture evenly over the bottom of the pan. 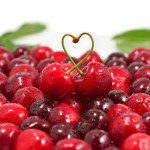 Note: if using frozen cherries, add 1 1/2 tablespoons arrowroot powder to the mixture before combining. Top the cherry mixture with the crumble and place pan into the oven. Bake uncovered for 20 minutes, or until bubbling and the crumble is slightly golden brown. Meanwhile, prepare the whipped crème. Remove the coconut milk from the refrigerator and scoop out the thickened cream that has formed on the top. Note: Place the remaining coconut water in a glass container and use it later for a smoothie or a refreshing post-workout drink. Leftover coconut water can be stored for 3-5 days in the refrigerator. In a medium bowl, add the coconut cream, the remaining cinnamon, and the remaining vanilla and mix to combine. Then whip the cream using either a high power blender such as Vitamix or hand blender: •	If using a Vitamix: Pour the coconut cream mixture into the blender and blend on high for about 1 minute or until cream resembles whipped cream. •	If using a hand mixer: Pour the coconut cream mixture into a bowl and beat on high for about 3-4 minutes or until cream resembles whipped cream. Note: Using a chilled bowl may prevent your crème from being runny. If you try this method, place a metal, glass or ceramic bowl in your refrigerator to chill about 1 hour before preparing crème. To serve, cut the cobbler into 8 wedges, and serve 1 wedge with a small scoop of whipped crème (about 2 tablespoons) and enjoy immediately, fresh from the oven. Store leftover cobbler and crème in separate airtight containers in the refrigerator for up to 5 days (cobbler) and 3 days (crème). Do You Know What’s Really In Your Food?